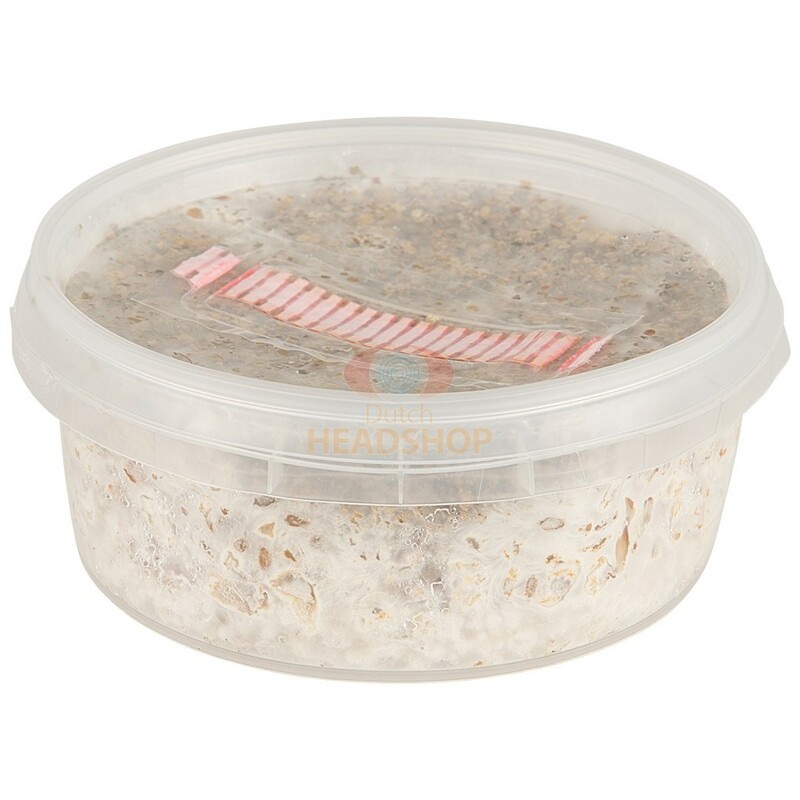 From now on you can easily grow home-made mushrooms with these All-in-One Grow kits. 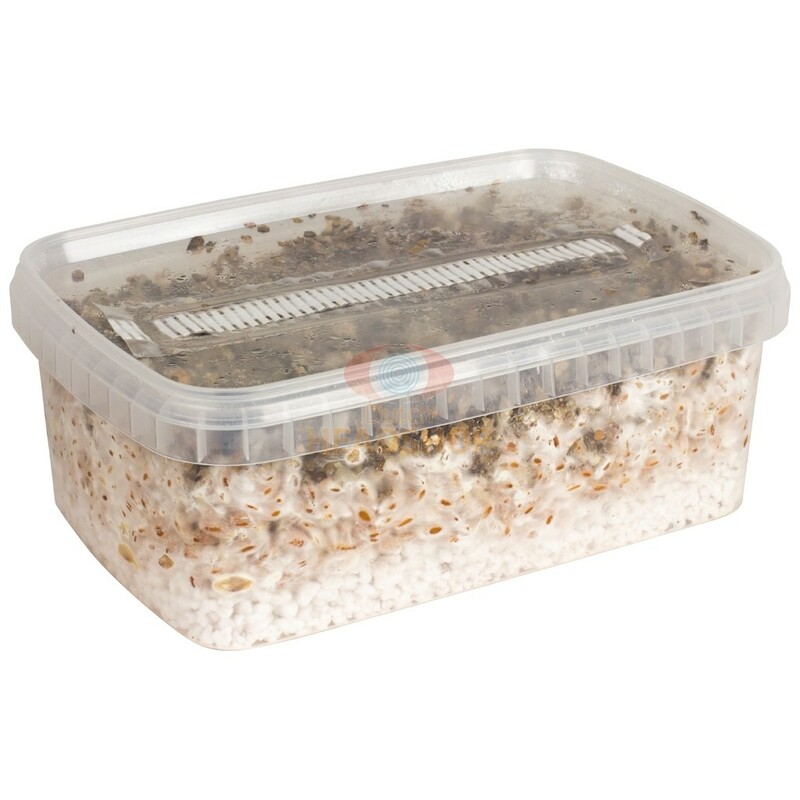 These mushroom grow kits contain everything you need to grow fresh Mexicana Mushrooms in three flights. Ready to harvest within 20 days. Choose now between 250 cc and 1200 cc substrate. With 250 cc you can grow about 100 grams and with the 1200 cc around 400 grams of fresh mushrooms. When you keep the mushroom grow kit cooled, the kit can be used for three to six months. Growing mushrooms one time is a lot of fun. When you reach the growth phase you have a nice harvest in a few days. 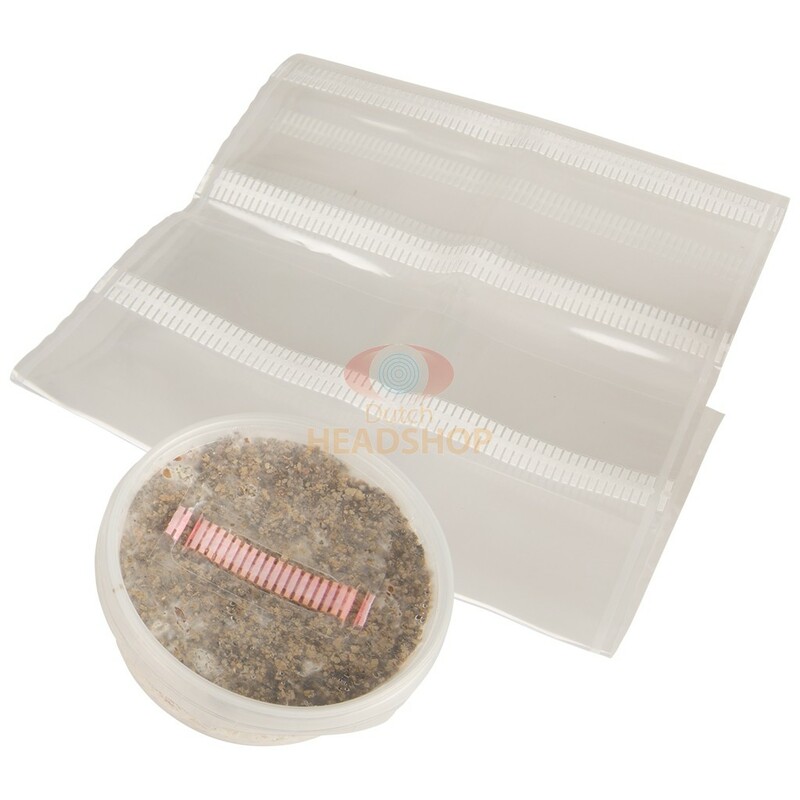 You can start with a modest grow kit of 250 cc, for a harvest of about 100 grams, or just go for the 400 grams harvest of the 1200 cc grow kit. On average there are 3 flights possible per Grow kit. This means that you can go through three growth cycles with the contents of one kit. On average, you will get in total a harvest of about 400 grams of fresh Mexicana Mushrooms for the large kit. The small kit gives a harvest of about 100 grams of fresh mushrooms over 3 flights. The Mexicana Magic Mushroom is one of the most popular mushrooms at this moment and is very suitable to use as first experience with a mushroom trip. Mexicana’s are known as a mild brand, which does not mean that the magical effect should be taken lightly. The Mexicana is one of the brands that develop both truffles and magic mushrooms. A Mexicana magic mushroom trip is usually experienced as euphoric. It provides a feeling of being free, where colors are perceived as more intense and mild hallucinations occur. A relaxed magic mushroom trip can provide new insights into yourself and others. The active substance of magic mushrooms is just like with magic truffles psilocybine. With an All-in-One Grow kit the growing of magic mushrooms is very easy. Follow the included instructions and you will have home-made psychedelic mushrooms in no time. Ready to harvest within 20 days. You may wonder whether this is legal. In the Netherlands the growing of mushrooms for your own use is completely legal. The sale of Magic Truffles is also legal. The sale of fresh and dried magic mushrooms are however not legal. You will have to grow those yourselves. The effects of magic mushrooms and truffles are largely dependent on dosage. Therefore start with a modest amount to get a feel for the hallucinogenic world of psilocybine. A low dosage with fresh magic mushrooms is about 5 to 10 grams. If you are going to dry the magic mushrooms first, then the dosage is very different. Dried magic mushrooms are ten times more concentrated. Take as a maximum 1 gram of magic mushrooms, to not be launched into outer space immediately. Do you have some experience with truffles and magic mushrooms? Then we can understand that you prefer to be guided and really want to trip. 20 grams of fresh magic mushrooms and 2 grams of dried magic mushrooms are the usual doses for a normal trip. 30 grams of fresh magic mushrooms and 3 grams of dried magic mushrooms are considered a high dose. Only consider this when you have a lot of experience with magic mushrooms or truffles. Even small magic mushrooms can contain quite a measure of psilocybine. Always weigh beforehand and use both small and larger magic mushrooms for a dosage. This product cannot be exchanged because of the limited shelf life.